On 23 July 2015, Chinese Ambassador to the UK H.E. 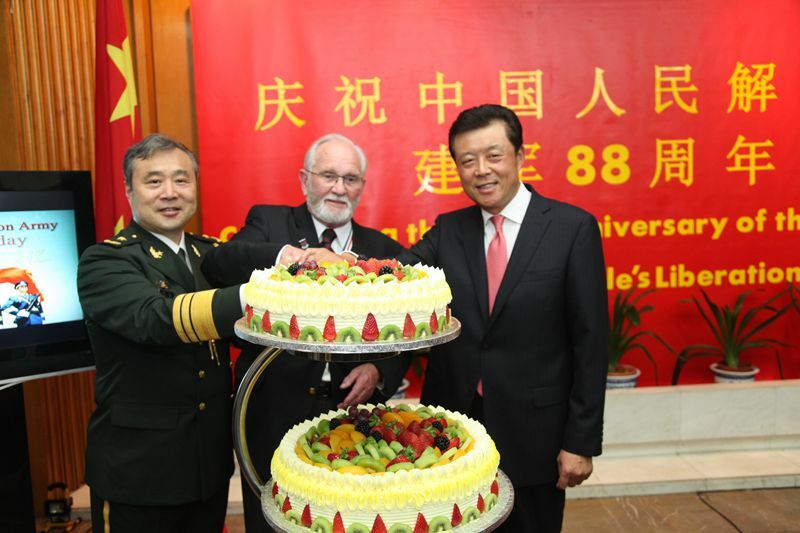 Liu Xiaoming and Defence Attaché Major General Yao Min hosted a reception at the Chinese Embassy to celebrate the 88th anniversary of the People's Liberation Army (PLA). 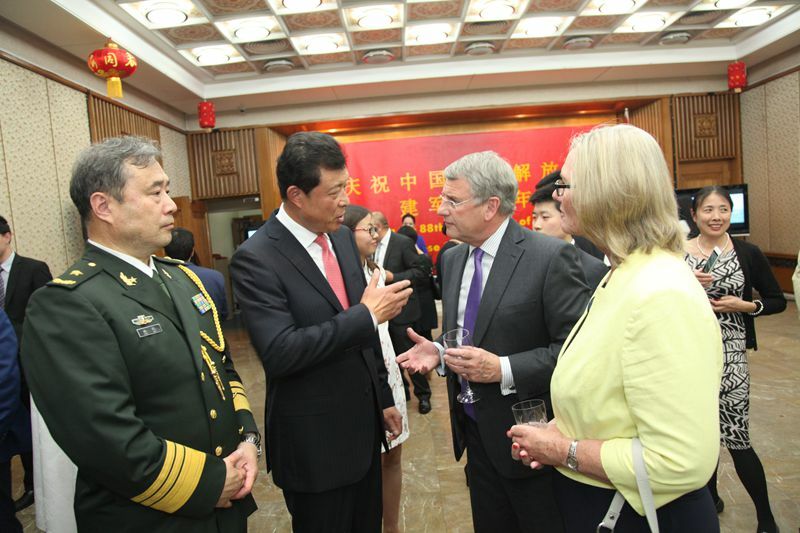 Over 200 people, including military and civilian officials, friends from different fields, members from diplomatic corps, military attachés, Chinese-invested companies, overseas Chinese and students, attended the reception. Among them are Surgeon-General of British Armed Forces Air Marshal Paul Evans, Director General Security Policy of the Ministry of Defence Peter Watkins, and George Batts, the nearly 90-year-old British WWII veteran who had experienced the Normandy Landings. H.E. 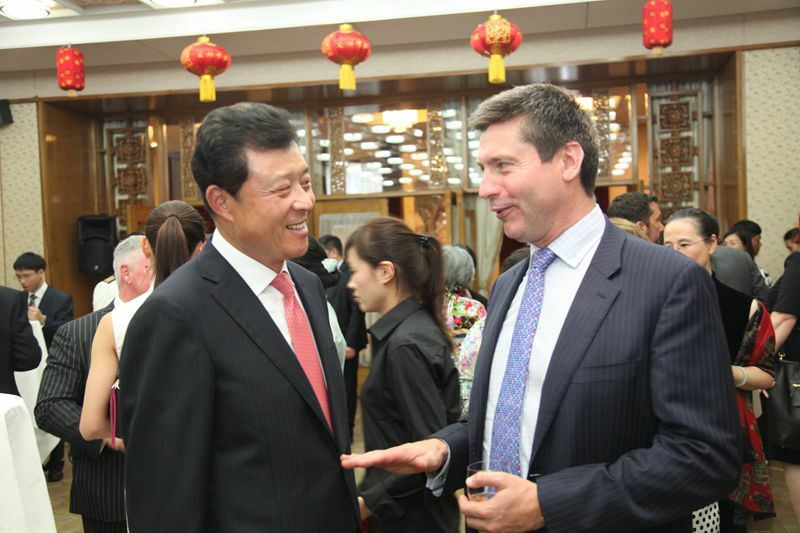 Ambassador Liu Xiaoming addressed the reception. He reviewed the glorious 88 years of the PLA, and highlighted PLA's contribution to regional and world peace and stability in the recent years. He mentioned that 2015 was the 70th anniversary of the victory of the World Anti-Fascist War and the 70th anniversary of the victory of the Chinese People's War against Japanese Aggression, and he recalled the deep friendship forged between the Chinese and British people and armed forces during the anti-fascist war and the fight against militarism. In recently years, both the two countries and their armed forces have come a long way in enhancing mutual trust and cooperation. The Ambassador called 2015 a "golden year" for China-UK relations. At the invitation of Her Majesty the Queen, Chinese President Xi Jinping will pay a state visit to the UK in October. This will become a new milestone in the bilateral relations, and will promote steady growth in military-to-military relations. Major General Yao, who presided over the reception, said that the PLA, under the strong leadership of the Communist Party of China, sticks to the overall national security concepts of coordination, integration, cooperation and sustainability and adheres to the military strategy of active defense. The PLA's comprehensive capacity has been strengthened and its ability of mission fulfillment gradually improved. The reception went on in a warm and friendly atmosphere. The guests congratulated China on the PLA's 88th anniversary and commended China's great achievements in the modernization of its national defence and armed forces. They also applauded PLA's contribution to world peace, stability and prosperity. A documentary Chinese Troops Today was played at the reception. There was also a picture exhibition on PLA's active participation in international peacekeeping operations as well as brochures and books about the PLA, which were popular with the guests.